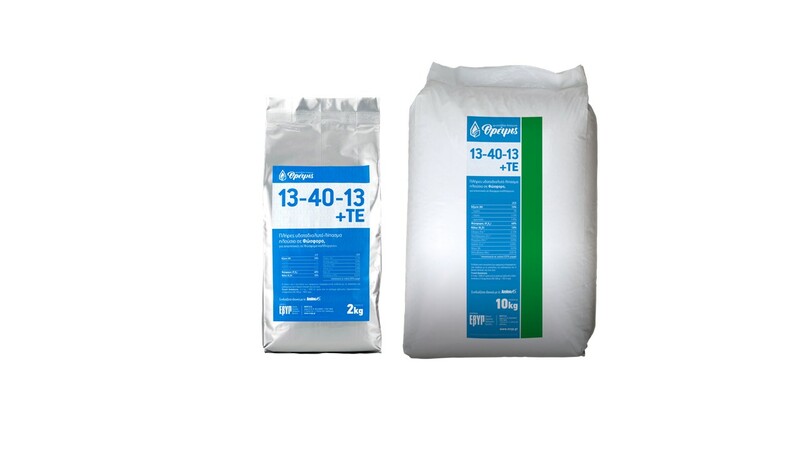 The 13-40-13+TE “Threpsis” powder fertilizer is produced further to careful selection of only top raw materials, of very high purity. It is ideally combined with Amino 16® to maximise crop yields. Complete Water-soluble Phosphorus-rich fertiliser, for crops with high Phosphorus requirements. Stone fruits (peaches, apricots, plums): Foliar 300-500 gr / 100 It water or 2-4 kg / 1000 m2 through the irrigation system.